Although there are far more residential fires than those involving non-residential structures, commercial fires still have a hefty price: in 2009 the 103,500 non-residential fires cost 105 lives and over $3 billion in losses, according to the U.S. Fire Administration. Preventive actions are critical to avoid these losses altogether. 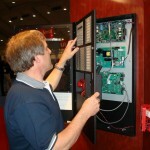 That’s where a properly designed and installed fire alarm system comes in. 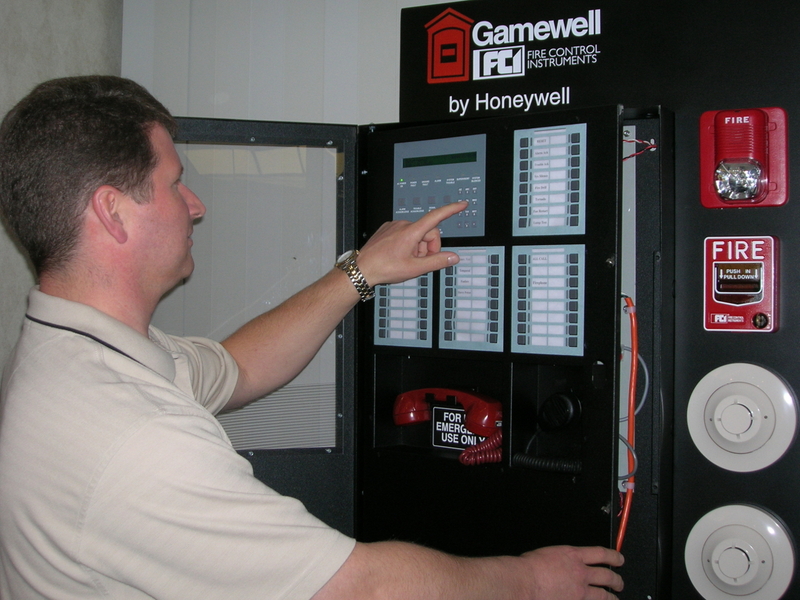 A fire alarm system consists of three basic components: detection devices (smoke and heat detectors), alarms and notification (strobes/horns), and suppression devices (sprinklers or devices that use gas or chemicals). 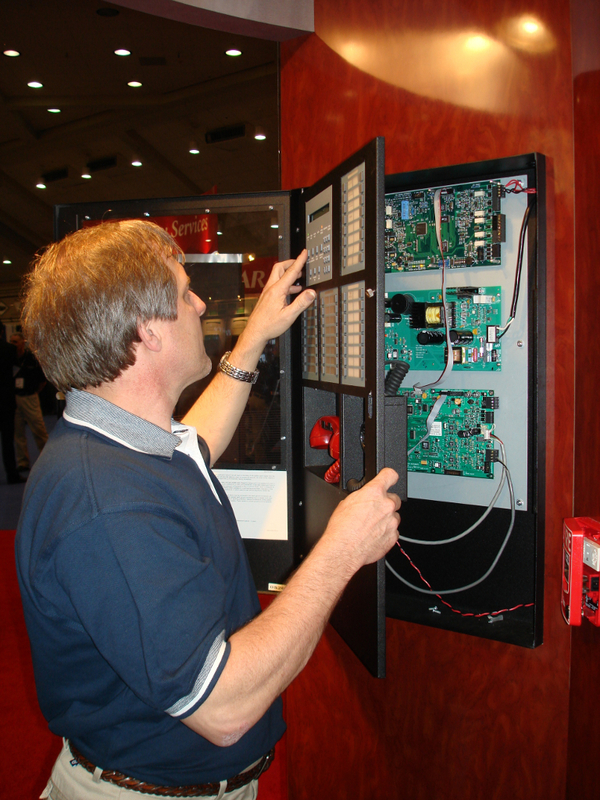 A fire alarm control panel (FACP) is the heart of the system and uses initiating circuits connected to sensors wired in parallel. Designing an optimum system depends on how a building is used and occupied. For instance, is the building a factory that operates 24 hours a day or a warehouse that is only open during business hours? For multiple buildings, booster panels are networked together and monitored by a graphical workstation. The simple FACP consisting of zones of heat detection has evolved over the last several decades into a more sophisticated system (see schematic diagram below). The first addressable FACP came on the market in the 80s and could show the exact location of the triggered alarm. Voice was introduced a few years later so better instructions could be provided. 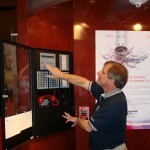 The following decade saw more integration of voice with the FACP into a one-cabinet solution. The next development, which arrived earlier this decade, was the graphical workstation, which could be located in a central location. FACPs are available with a range of capacities and feature sets from a 10-zone conventional panel to a 2000-point addressable panel. Addressable notification devices have also been introduced. For instance, strobes are now available that allow candela settings to be selected either in software, eliminating the need to go to each device, or through hardware. A printed report confirms the candela setting of every appliance on a system and a diagnostics tool can confirm sufficient voltage to power every notification appliance in the event of a loss of power. Other capabilities have been added that connect the FACP to the Internet so that the alarm company is automatically contacted. The status of the fire alarm system can also be checked from a laptop using a local area network (LAN) or wide area network (WAN). 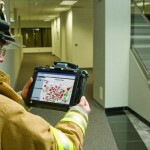 To streamline the fire alarm commissioning process, a diagnostic testing tool is now available that allows contractors to run an alarm system test before wiring connections are made to the FACP. Potential problems such as ground faults, shorted wiring, or duplicate addressing can be found. All information can be downloaded to a laptop or PC for report generation and archiving. 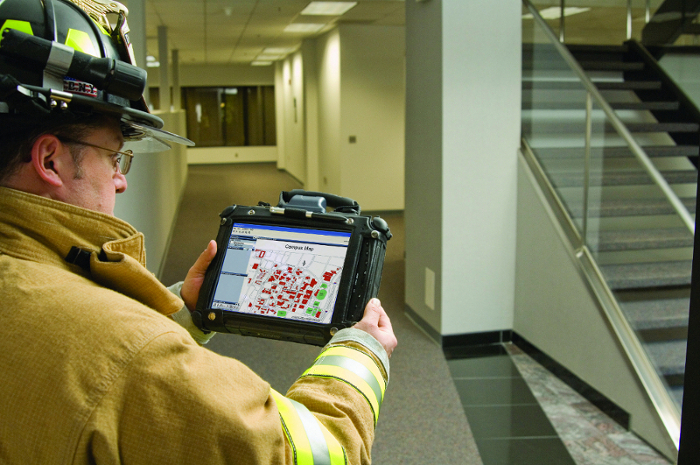 Some fire alarm systems also now come with software that automates inspection and testing reports. Today, the fire alarm system is going beyond its original purpose and now is being integrated with mass notification systems (MNS) and emergency communications systems (ECS). MNS, as defined by DoD, provides real-time information and instructions to people in a building, area, site or installation using intelligible voice communications in combination with visible signals, text, graphics, and other communication methods. 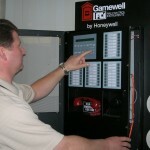 With this integration, fire will no longer be the highest priority in emergency events, according to Brian Carlson, Product Marketing Manager at Gamewell-FCI. 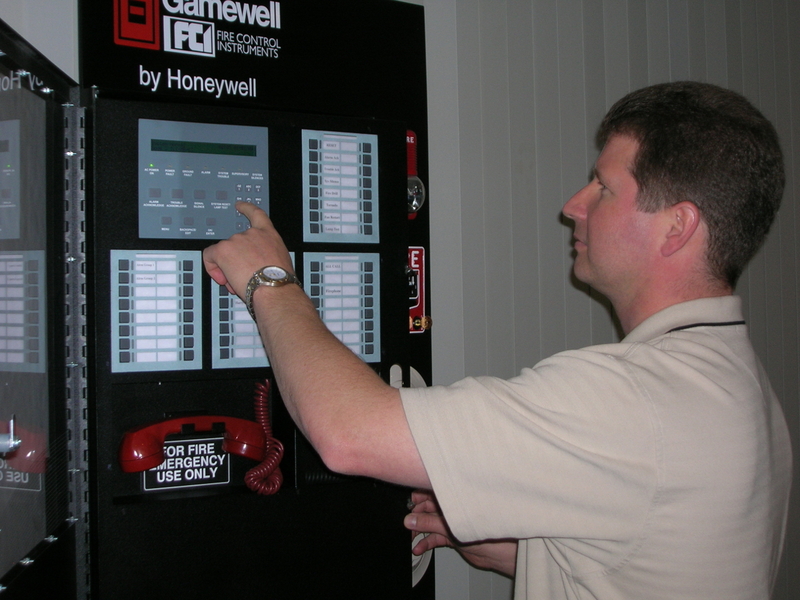 The design and installation of fire alarm systems are driven by various regulations developed by the National Fire Protection Association (NFPA). NFPA 101, the Life Safety Code, denotes which occupancies are required to have fire alarm systems. NFPA 70, the National Electrical Code, covers equipment and wiring, both power to the control console and zone wiring to initiating devices and to annunciators, as well as any phone lines for automatic calling. UL 864 covers testing requirement for fire alarms. The International Building Code (IBC) requires fire alarm and sprinkler systems to be monitored by an approved supervising station listed by the Underwriters Laboratories (UL). Perhaps the most important code is NFPA 72, which covers overall system design parameters, testing and maintenance procedures, minimum performance requirements, and operational protocols. The scope and organization of NFPA 72 in 2010 have expanded beyond the core focus on fire alarm systems to also include requirements for MNS used for weather emergencies; terrorist events; biological, chemical, and nuclear emergencies; and other threats. and area of refuge for two-way emergency communications systems. The revised code has already been adopted by several states and goes into effect in 2011. 2010 NFPA 72 also includes a new chapter on circuits and pathways that combines preexisting and new requirements and consolidates basic wiring rules and circuit performance into one location. Based on the risk analysis, performance needs are identified, which in turn may determine survivability requirements that become part of specifications and designs. For instance, circuits may require fire-rated cable or be installed in underground hardened ducts to survive the emergency conditions. The risk analysis will also determine the level of functionality required by the central control station. The revised code has revised installation and testing provisions plus an extensive new annex with detailed guidance for voice intelligibility. This testing involves hand-held meters that measure the distortion and clarity of sound to determine if amplifiers and speakers are adequate and properly located. Messages must be clearly heard and understood without being garbled. Guidelines are provided on how to install these systems in troublesome areas with high noise issues. Some buildings may not require speech intelligibility in every location or office. Improved safety in sleeping areas includes new rules that mandate low-frequency signaling for those with mild to severe hearing loss, and tactile as well as visible signaling for those with profound hearing loss. For commercial buildings, these rules must be in place by 2014, which means manufacturers will have to update their systems, which previously relied on high-frequency sound. NFPA 72 also includes updated requirements for interaction between systems and shared inputs. 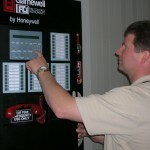 It explains how interfaces are designed to prevent harm to the fire alarm system. Another important revision involves smoke detector placement, which has updated spacing and placement requirements for level beamed ceilings, as well as spacing requirements for sloped beamed ceilings. For instance, precast concrete ceilings with 5-8” wide pockets that are 18” deep no longer require a smoke detector in each pocket. There is also a new section for installing detectors to protect such areas as above elevator doors or fire alarm control units, regardless of ceiling height. Installation requirements are addressed for emergency radio systems that use bidirectional amplifiers and antennas, in order to eliminate dead spots. Testing and commissioning requirements, which depend on building codes, are also outlined. In the near future, fire alarm systems must be capable of being integrated with ECS. ECS are being designed with several new capabilities, including interfacing outdoor systems with indoor ones, and the integration of distributed recipient MNS. There will also be much more integration with Internet Protocol (IP) because it is much simpler to accomplish than integration using proprietary protocols. Notification using personal devices will achieve a higher level on the graphical side as iPads and iPhones are utilized. More reports will be sent directly to a personal device, which becomes extremely critical for monitoring systems offsite. 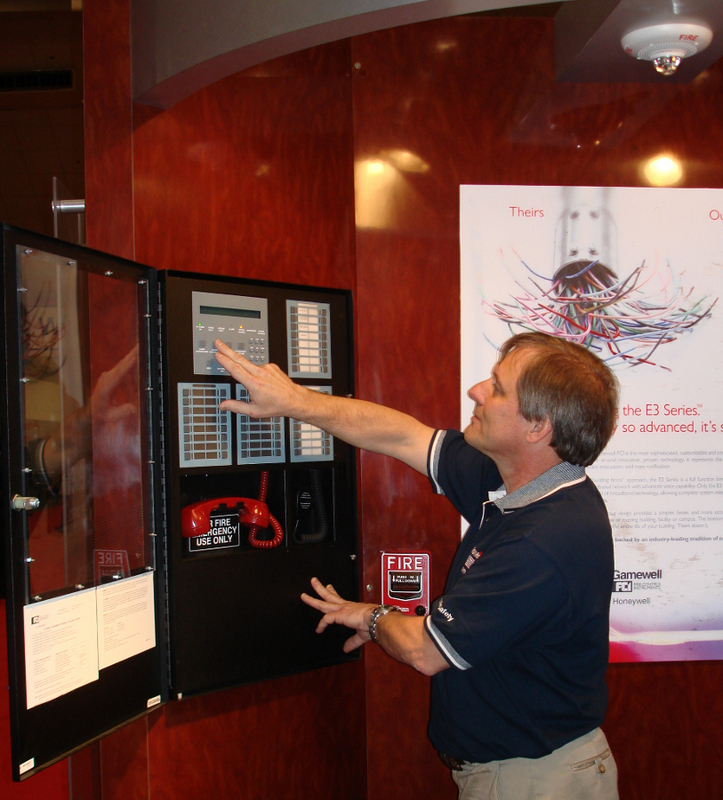 Several of these newer communication methods are addressed in NFPA 72, including voice over Internet Protocol (VOIP) and IP communications (all data). There are listing requirements for IP and new requirements for documentation, including record of completion and testing. Only certain VOIPs are permitted, which may be managed by the cable company. What is prohibited is a black box on the computer that is connected to the Internet. Manufacturers have already developed devices that allow fire alarm control panels (FACPs) to use any customer-provided IP network connection as a communication path to transmit alarms to central stations. Another new standard under development, UL 2572, will affect the design of fire alarm systems that incorporate MNS. This standard will require all manufacturers to test or retest their MNS to the final version of UL 2572 before it takes effect in 2013. The industry appears to be ready to address these new and future challenges.